Sixty young men and women from all regions of the world, who are leading groundbreaking change in their countries and communities, met at the 10th UNESCO Youth Forum that was held on the 25th and 26th October 2017 in Paris UNESCO headquarters. The Forum, entitled “Rethinking Youth Engagement with UNESCO”, provided the opportunity for exchange and the development of recommendations on how to improve engagement between UNESCO and the youth. The aim being to address some of the world’s biggest challenges, including through the development of regional youth spaces. Abiy Shimelis, Co-Founder of Addis Sustainable Life, was selected as one of the young inspirational youths from Africa, representing Ethiopia. He was joined by 11 other vibrant African participants representing impactful ideas and initiatives. Coming from a science background, Ethiopia’s Representative, Abiy Shimelis, was able to work with other participants within the science field who are applying their scientific background to design impactful social and business ventures. Mr. Abiy gave a thought-provoking presentation on the need to support social initiatives by encouraging innovation and creativity that can scale up and sustain their operating models to ensure their measurable impact. A specific case study was presented on CSAYN’s approach to create mass public youth engagement and awareness on Climate-Smart Agriculture and how that best experience can be shared with other initiatives in co-producing knowledge and developing skills. His group recommended that both Youth and UNESCO co-develop a toolbox that builds capacity to enable citizen science and youth-collected data and research. The toolbox can be completed online. Youth who want to be certified can complete an exam. The toolbox and qualifying exam will get its accreditation from the UN University or other similar research based institutions. 1. Personal Development – fundraising, critical thinking, analytical and leadership skills. 2. Basic Technical Data Collection – best practices for data collection, analyzing, processing and digitizing data. 3. 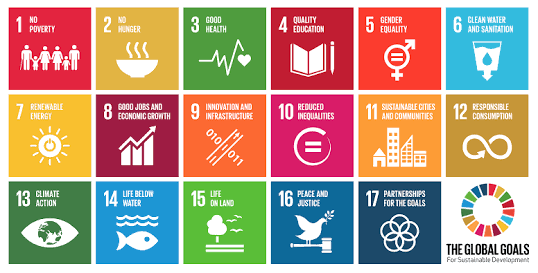 Citizen Science Generated for SDGs – best practices, targets, protocols, compliance, and sample size for collecting data that supports the SDGs. Other thematic topic areas discussed within the 10th UYF included ways on how to make youth change agents in the prevention of violent extremism, building more responsible legislation on issues that are complex. Recommendations were made to make every young person a more effective cultural ambassador. E.g. Young Leaders for UNESCO; Youth Cultural Ambassadors who can best communicate locally to their peers with less access to such dialogues. Other topics such as how to use Information Communication Technologies (ICTs) to raise awareness around complex issues – such as hate speech, human rights abuses and climate change. A recommendation was made to facilitate connections with media actors and youth organizations using national commissions. Cross cutting recommendations include the need to endorse youth leadership programs, to enhance their credibility and ability to resource for more funds in order to scale. The overarching consensus was that more than ever, youth need to be proactive in becoming confident, responsible and able leaders who are bold to confront local to global challenges. Overall, the discussions centered on UNESCO treating the youth as actors and partners but not just as beneficiaries. This year’s UNECO Youth Forum was especially unique in creating this mind shift whereby youth are not just treated as supporter seeker but also as partners with solutions. Major plenary events were graced by the presence of Irina Bokova, Director of UNESCO, Robert Hong Xiao, CEO of Perfect World and experts on youth programs and projects within UNESCO.